Based on the popular 1990s cult comic book series of the same name, the critically-acclaimed PREACHER: SEASON ONE arrives on Blu-ray™ and DVD 17 October from Sony Pictures Home Entertainment. The darkly comedic, hard-hitting, supernatural thrill-ride follows Texas preacher Jesse Custer (Dominic Copper, TV’s “Agent Carter,” Captain America: The First Avenger) who, after a supernatural event at his church, is thrust into a crazy world populated by a cast of characters from Heaven, Hell and everywhere in between. Along with his hell-raising ex-girlfriend, Tulip (Ruth Negga, World War Z, TV’s “Agents of S.H.I.E.L.D.”), and Irish vampire Cassidy (Joseph Gilgun, This is England, TV’s “Emmerdale”), Jesse embarks on a wild, dark journey of discovery and revenge unlike any other. PREACHER: SEASON ONE also stars Lucy Griffiths (TV’s “True Blood”) as Emily, W. Earl Brown (There’s Something About Mary, TV’s “Deadwood”) as Sherriff Hugo Root, Derek Wilson (TV’s “Aquarius,” “Rectify”) as Donnie, Ian Colletti (TV’s “Rake,” Baby Mama) as Arseface, Tom Brooke (Bridget Jones: The Edge of Reason, Pirate Radio) as Fiore, Anatol Yusef (TV’s “Boardwalk Empire,” Last Orders) as DeBlanc, and Graham McTavish (TV’s “Outlander”) as The Cowboy. 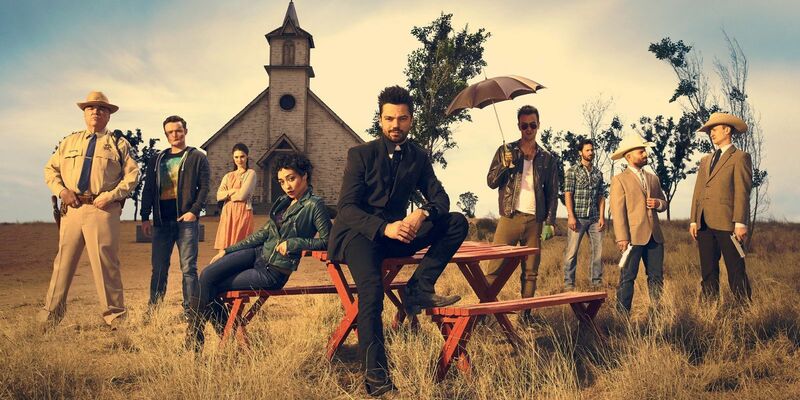 Produced by Sony Pictures Television, Preacher is based on the graphic novels by Garth Ennis and Steve Dillon. It was developed for television by Sam Catlin (TV’s “Breaking Bad”), Seth Rogen (Superbad, This is the End, Neighbors), and Evan Goldberg (Superbad, This is the End, Neighbors), who also serve as executive producers along with James Weaver (This is the End, Neighbors), Neal H. Moritz (Furious 7), Ori Marmur (R.I.P.D. ), Vivian Cannon (TV’s “The Big C”), Ken F. Levin (The Scribbler) and Jason Netter (Wanted). 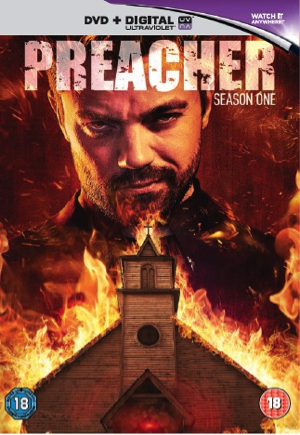 Based on the cult hit comic book series, PREACHER is the edgy story of Jesse Custer (Dominic Cooper), a conflicted preacher in a small Texas town who is inhabited by a mysterious entity that allows him to develop a highly unconventional power. With his fearless sidekicks, Tulip (Ruth Negga) and Cassidy (Joseph Gilgun), he embarks on a wild, dark journey that is unlike any other.